Rays centre Brian Sefanaia celebrated the birth of his second child with a try in a thrilling 34-34 draw with the Rams. Photo: Karen Watson. 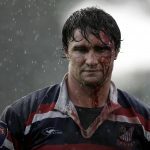 At times like this, when digesting a tense 34-all draw between the North Harbour Rays and Greater Sydney Rams, it’s best to reflect on the journey rather than the outcome. The old ‘a draw is like kissing your sister’ analogy was used five times in post-match interviews, but for a neutral, the eight try afternoon was something special. Each side had the game won at various points in the match with the Rays shooting out to a 24-0 lead before the Rams fought back to steal a two-point advantage with just a couple of minutes left on the clock. Ironically, in a competition with so few penalty attempts taken, it was a couple of shots at goal that decided the final outcome. Rams replacement Ben Volavola looked to have secured an unlikely win with a two-pointer in the shadows of fulltime, but the Rays worked back downfield and Hamish Angus slotted an easy penalty after the siren to level the score again. The brilliant late September sunshine, a healthy crowd of close to 3000 and two sides with plenty of attacking intent made for a stunning Sydney derby – even if it left a bitter taste for those with anything at stake. “We had a good lead but that’s the beauty of this comp that you can be two or three tries up and they can get right back into it,” said Rays halfback and – for the first half at least – winger, Josh Holmes. “It just shows you can’t get ahead of yourself, you have to keep playing good footy. In the first half we were winning our rucks but they just brought a new level in the second half and they’re a very good team with some very good players. While disappointed with the ultimate result, Rays coach Geoff Townsend was still optimistic about the side’s finals chances with games against the Vikings, Brisbane City and Sydney Stars to come. “We had the game won, lost, then almost came back and won it,” he said. The future isn’t so bright for the Rams who play second-placed Brisbane City and top of the table Melbourne Rising over the next two weeks before a last round bye. Currently on 11 competition points, assistant coach Stu Woodhouse said the resiliency to fight back from a 24-point deficit was a highlight of the afternoon. “The boys were praised for their effort in coming back into the game and the wind was a big factor today,” he said. “We were going into it in the first half and just had to nullify the amount of tries they got but we lacked direction and took a few risky options. I wasn’t too concerned, we’ve got enough strike power to trouble most teams and once again the boys have shown great ability to come back. Josh Holmes started out on the wing before reverting to halfback in the second half. Photo: Karen Watson. 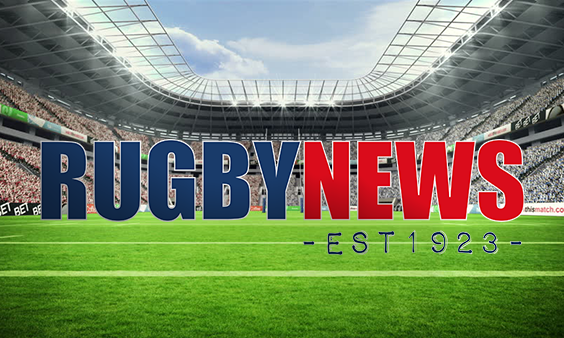 Rays flanker Kotoni Ale opened the scoring in the 22nd minute after Sireli Tagicakibau was dragged down inches from the line by a desperate Jarome Mackenzie tackle. Ale nabbed a second soon after and, with a strong breeze at their backs, the Rays were out to a flyer. A thrashing was on the cards when Rays centre Brian Sefanaia latched onto a Scott Daruda short-ball for a 24-0 lead after 35 minutes, but when McKenzie paced down the right touchline and offloaded to Ben Batger, some hope was restored for the Rays with a 24-8 score-line at the break. “It was good to get over the line, I don’t score too many these days, so that was nice and Jarome’s a really good player,” said Batger after his run-on NRC debut. 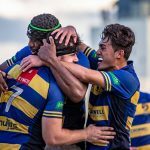 With one of the best steps in the competition, Rams flyhalf Jai Ayoub broke the line and scored under the posts after halftime before a MacKenzie runaway levelled the score at 24 apiece. Ed Gower reclaimed an eight point lead for the Rays when Josh Holmes put him through a gap with 12 minutes to play, but replacement Rams prop Dave Lolohea burrowed over and a Dane Chisholm conversion evened the ledger at 32-32 with five minutes left. 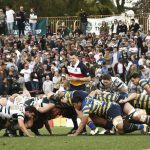 While kicking penalties for touch has been a no-brainer in the NRC so far, captains Jed Holloway and Greg Peterson didn’t hesitate to point to the sticks in the final minutes and two of the best kickers in club rugby, Volavola and Angus, both landed easy kicks for the final 34-all score-line.